Help little ones understand patterning with these easy to make Pattern Sticks. 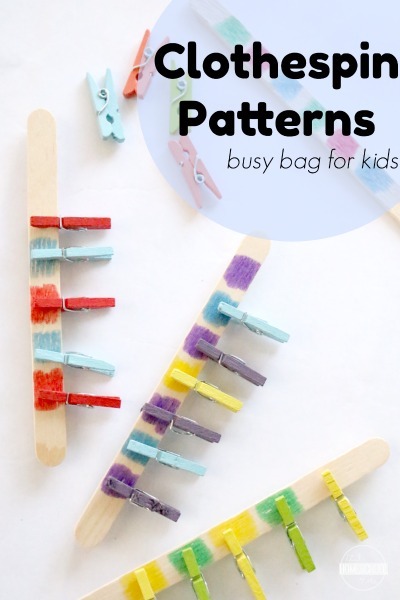 This Clothespins Patterns Activity is a wonderful way to sneak in fine motor and patterning skills. It's perfect for preschoolers and kindergartners. This activity turns into a great busy bag, so after you are done using it for the day, zip it up in a small bag or box to be stored away until another day. It'll make a great activity to bring along on long car rides, times you know you be waiting around, etc. 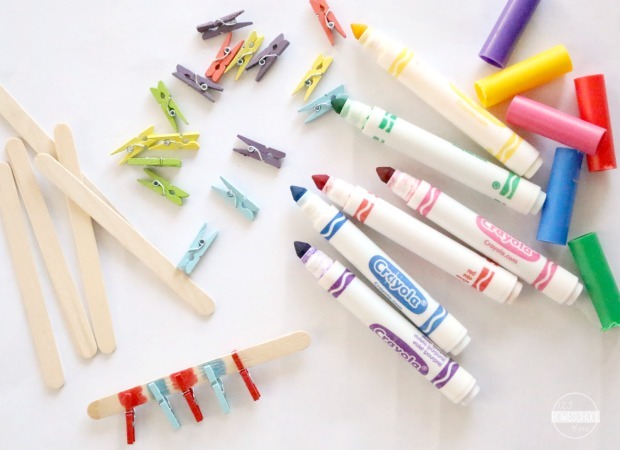 To make your own clothespin pattern sticks, head on over to 123Homeschool4Me to learn more!